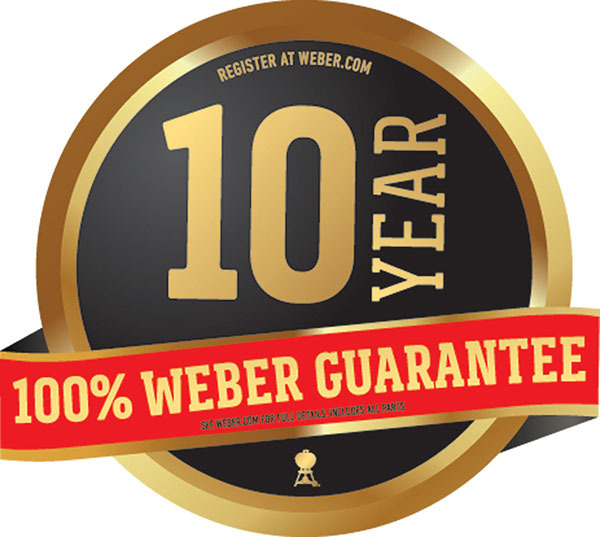 Here at Weber, we’re constantly looking for ways to innovate and design the best performing, highest quality grills we can come up with, and for 2018 we’ve launched a new line of models known as the Spirit II series. They come packed with lots of great features, an awesome warranty, and most importantly, they are great to grill on. Check out our recipe for Marinated Flank Steak Sandwiches - perfect on the new Spirit II griddle! Here are some of the highlights of the Spirit II series. #1) 10 year warranty on all parts – Every new Spirit II model features a top-to-bottom, 10 year warranty on all of the components of the grill, excluding normal wear and tear. The warranty is subject to additional terms and conditions. You can look over the full warranty terms in the manual found here. To see all of our current warranties, clickhere. #2) GS4 Technology - Our GS4 system, which stands for Grilling System 4 (there are 4 components), consists of our Infinity ignition system, stainless steel burners, porcelain enameled Flavorizer bars, and grease management system. These parts all work in concert to make sure the grill lights the first time, every time, that it provides even heat, reduces flare ups, adds some extra flavor to your food, and that all the drippings and grease from grilling are directed into the drip pan for easy removal. #3) Colors! Spirit II propane models are available in red, black, sapphire and ivory. #4) Open Cart Design – All Spirit II series models feature an open cart design, which is a throwback to the design on our Spirit models made in the late ‘90s. The open cart design allows for greater storage space beneath the grill. Just don’t store anything flammable under there. It also makes it much easier to mount the gas tank for propane models, as they are now meant to be installed onto a tank scale on the exterior of the right hand frame of the grill, underneath the side table, instead of inside of the cabinet as found on prior Spirit models. #5) Catch Pan – The Spirit II series feature an all new catch pan design. This differs from any of our other full size gas grill models in that the drip pan is housed in a slide-out catch pan, as opposed to in a special shelf in the storage area of the grill. 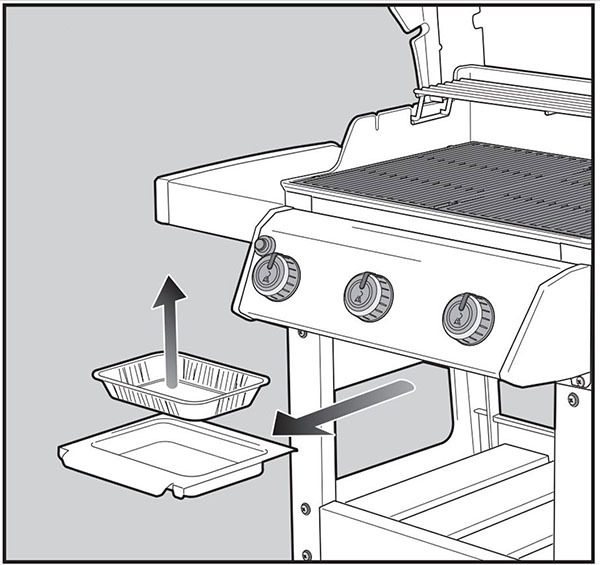 The catch pan slides right out from beneath the cookbox of the grill, making it easy to remove and replace the drip pan as needed. #6) Fold-Down Table – The left-hand side table on all Spirit II series models are designed to fold down. 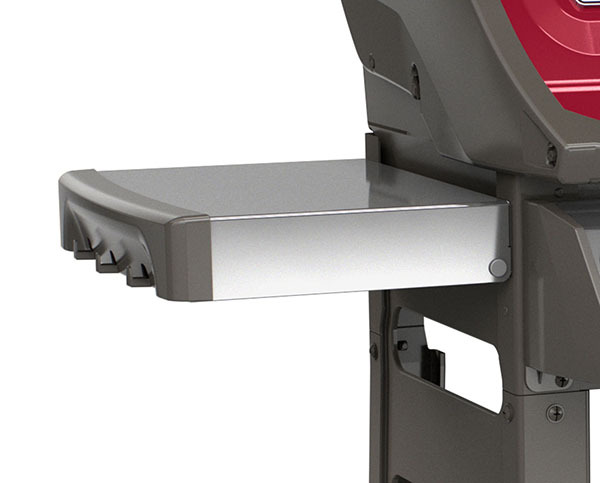 This allows the grill to be stored in areas where space is at a premium. #7) Legs and Wheels – Another throwback feature is the wheel design. The left end of Spirit II series models do not feature wheels, while the right hand side have 2 large, heavy duty plastic wheels. 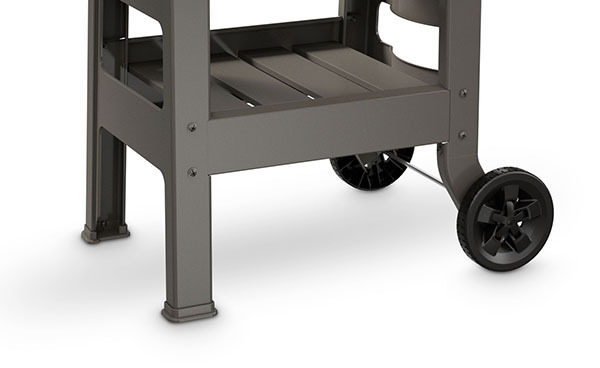 The wheels allow the grill to be rolled along grass or other uneven surfaces with ease. 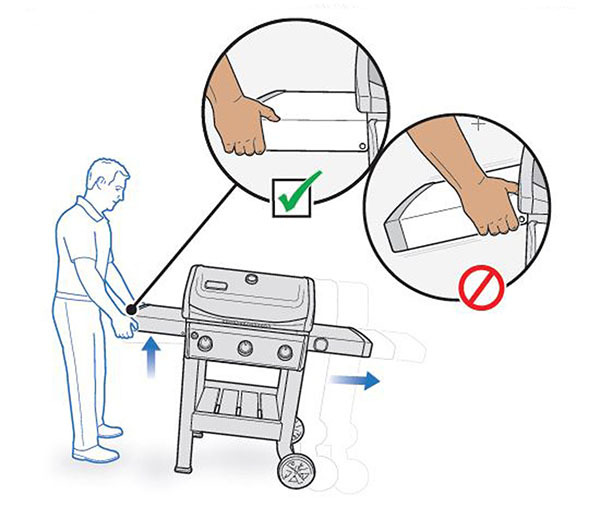 If you need to move the grill, the left-hand, fold-down side table has been designed specifically to be locked while in the upright position, so that it is sturdy and strong enough to be picked up to move the grill. #8) iGrill 3 Compatibility – All Spirit II series models are compatible with our iGrill 3 app-connected thermometer that allows you to monitor the internal temperature of the food you’re grilling. The iGrill 3 is easy to install and will help you make sure that your food is cooked to perfection every time you grill. 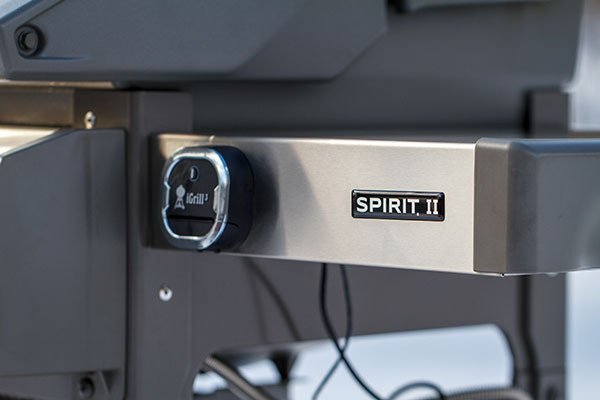 We’re pretty excited about the Spirit II series, and whether you’re just jumping into grilling for the first time or you’re looking to add another grill to your collection, the Spirit II might just be for you! Check out our full line of Spirit II series models here.